A 13th birthday party is a very special time for a girl. It signifies a girl's passing from Tween to Teen. Some girls might want a big party while others might prefer a smaller one depending on the girl's individual style. Parties can be themed or just a get-together. A party isn't a party without something for the guests to do. Playing games such as Charades, Twister or Telephone are sure to get laughter going. Movies are a good way to wind down but if the party has a theme, make sure they match it. For example, if the theme of the party is chocolate, then the movie should be something like "Charlie and the Chocolate Factory." Going to a skating rink is fun, as is a ball game. Sleepovers are fun but need to have a little more planning. In the invitations, you might want to add that the guests bring a pillow and sleeping bag. If you would like a longer night of laughter, you could start the party before 5 or so. If you would rather not have to provide supper, starting at 7 or 8 would do. Either way, their should be a few snacks for midnight treats. Chips, cookies and pizza are ideas. Figure out before hand where the girls will sleep. It is hard to have a sleepover when there is no place to sleep. In the birthday girl's bedroom, camped out on the floor in the living room, or on couches are ideal places. Invite a few girls so they can have your attention through the night. Too many girls can end with girls feeling left out. Two or three girls are enough. Rules vary from household to household but a few may be necessary. 1) Adult supervision to not only help with crafts, food or details, but also to keep an eye on things so they don't get out of hand. 2) Involve everybody because no one likes to be left out. 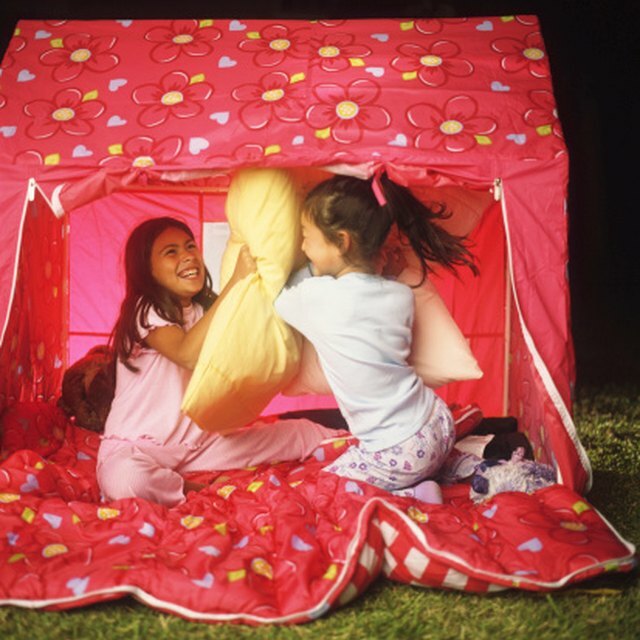 3) The most important rule: Secrets told at sleepovers, stay at sleepovers. Quiz - What's your party style? Teenage Girls and the "Risky Years"
Chuck Holton is a published author with seven books in print in less than a decade. He began writing professionally in 2000. His latest work "American Heroes," written with Oliver North, was a New York Times bestseller. He has written for newspapers, magazines and television as well. What Is a Good Gift for Friends Opening a Restaurant? What Is the Appropriate Height for a Dining Table Centerpiece?